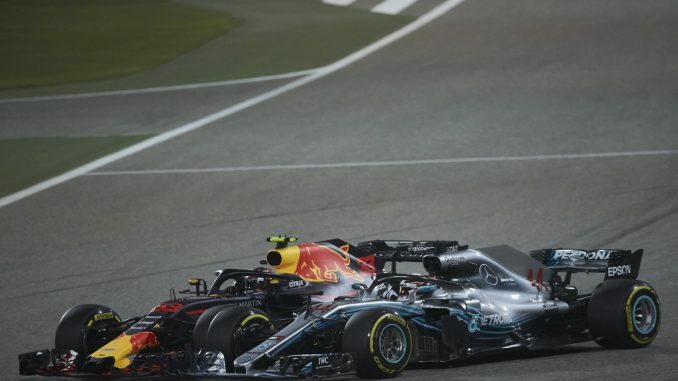 Formula 1 and the FIA have announced changes to aerodynamic regulations have been agreed in a bid to increase overtaking and promote closer racing from 2019. The changes have been approved by the F1 Strategy Group, F1 Commission and the World Motor Sport Council following talks between the teams and F1 bosses at the recent Bahrain Grand Prix. From next year, teams will have to use a simplified front wing with a larger span and low outwash potential. Outwash is created by front wing endplates to direct airflow around the front tyres of the car. Teams will also have to design a simplified front brake duct with no winglets and use a wider and deeper rear wing. The endplate changes should make it easier for car to follow the driver in front, while increased rear wing size will make DRS more effective. The FIA says the changes come following an intense period of research, which showed making these alterations will likely have a positive impact on racing and overtaking within F1. The vote to push through the changes took place yesterday, which was the final day technical regulation changes could be made for the following season without support from every team. The F1 Commission requires just four teams to back the proposals if F1, the FIA and sponsors are behind the proposals, so it’s unclear how many teams are in favour of the changes. Last year, F1 had the fewest overtakes of the DRS era, with a drop of almost 50% compared with 2016. Just 435 passes were recorded during the 20-race season, with almost a tenth coming during the chaotic Azerbaijan Grand Prix. The figure for 2017 was the lowest since 2009, before drivers were able to reduce drag by opening the rear wing. The FIA insists it’s still evaluating a number of other options which would encourage closer racing and increase overtaking. The changes are separate to the ongoing talks over engines from 2021.